File photos. Actual appearance may vary. Pictured above and below are the Comp High Energy roller rockers on one of our engines. We have used these for many years on certain models within our engine program. Stud girdles may be used with the Comp Higher Energy roller rockers. Fits applications with screw-in studs and guide plates only. We purchase our Comp rockers in bulk form for our engine program. The set you receive will be plain brown boxed by us, with polylocks included. 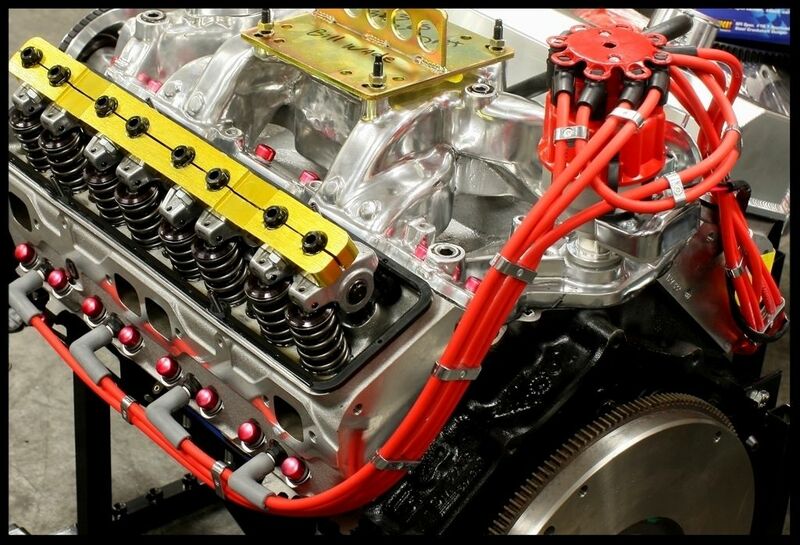 You can achieve high performance without a high price with COMP Cams High Energy aluminum rocker arms. 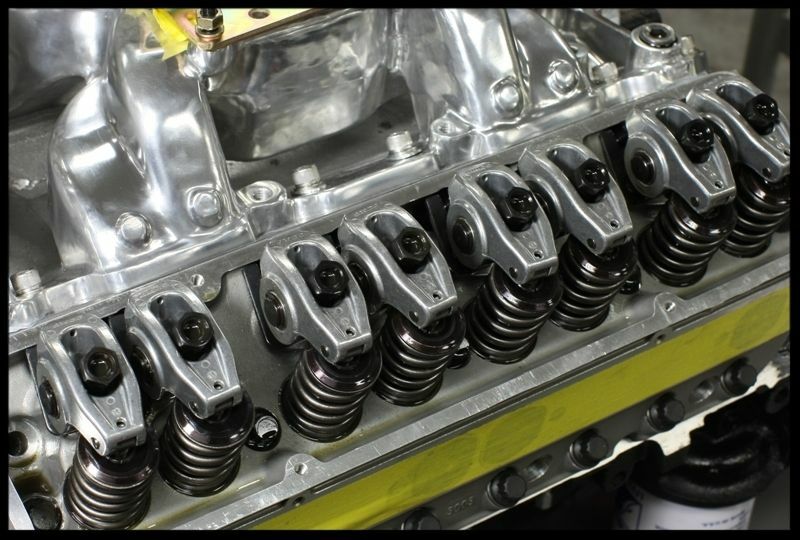 COMP Cams, a leader in valve train technology, has developed these High Energy rockers to provide a superior strength to weight ratio to withstand the hardships of your street performance and mild race engines, while adding valve lift. 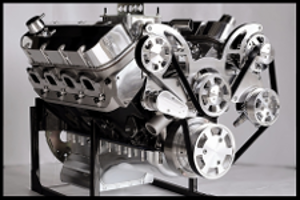 These aluminum, larger-than-stock rocker bodies are designed to be stiffer and more durable. They feature needle-bearing fulcrums and roller tips to reduce friction and lower oil temperatures for even more horsepower potential. Maybe you're on a budget, or maybe you just appreciate getting the most for your coin. 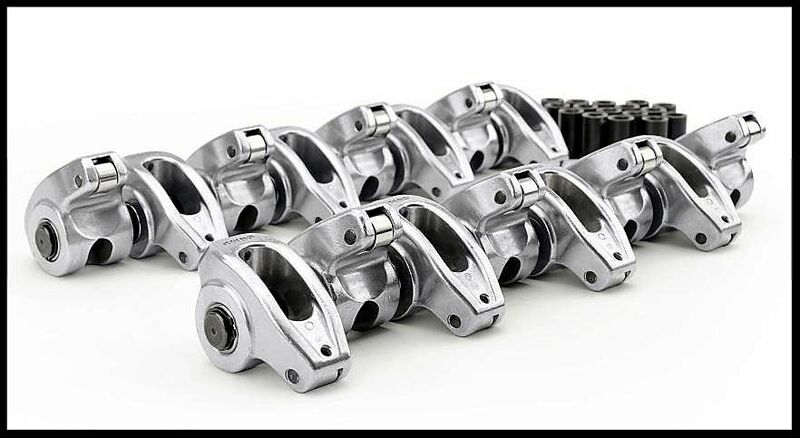 Make an affordable choice without sacrificing performance - get COMP Cams High Energy aluminum rocker arms. Our sales staff has limited technical knowledge on this product and are usually unable to answer many of the questions asked. Many of the questions are, "how do you install this item", and "what pre-load to set them at". Opinions vary on this to a great degree, but anywhere between a 1/2 turn and up to a 3/4 turn seems to be the minimum and maximum. We update the info in our listings on a regular basis, and if it's not in the ad, then there's a good chance our sales staff does not know the answer. There is a solution to this for those with numerous questions about the product. We recommend searching the car forums for technical info. You will find the answers you need on the forums for certain. For those needing help on installing these, you can go to YouTube find dozens of highly informative videos showing much of the info you need.